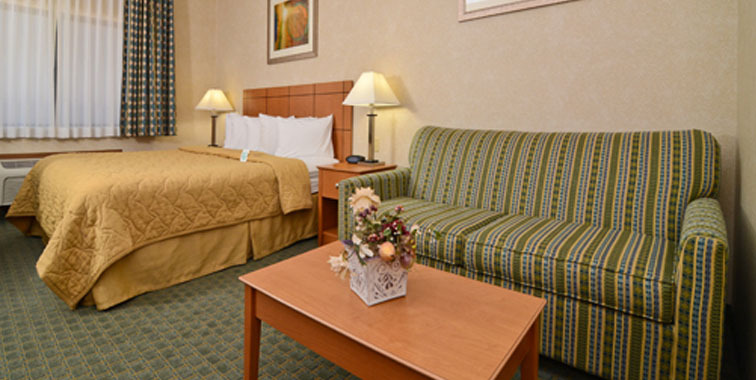 Accessible, No Smoking Single room feature one queen bed for 2 guests. 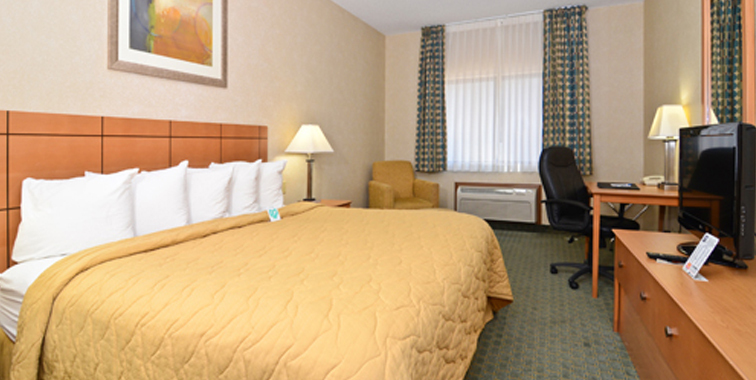 Designed to give you maximum comfort, our Double Queen Rooms boast two queen pillow top bed and a host of amenities. Smoking Single room feature one king bed for 2 guests. 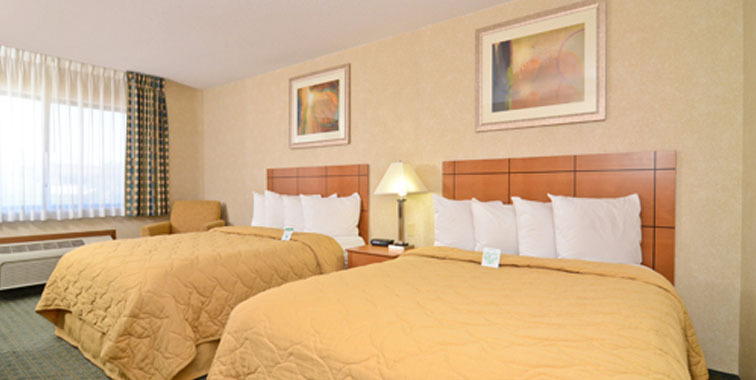 No Smoking Single room feature one king bed for 2 guests. No Smoking Suite room feature one king bed for 4 guests.